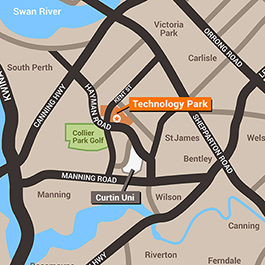 Nestled in the lush parkland setting of Technology Park Bentley is the Technology Park Function Centre. The Centre’s professional facilities can accommodate large or small groups for conferences, business meetings, seminars, workshops or training. Located just 6 kilometres from Perth CBD and opposite Curtin University. The venue spans across Hayman Road and is accessible from the east or west entrance from Brodie Hall Drive with ample free parking. 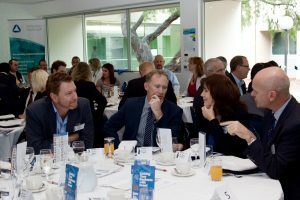 The Function Centre supports a wide client base as we offer flexible spaces and expert support to make your training or event successful. Provide reception services for panel interviews. Quiet exam rooms for over 250 students per day. Industry trade shows and associated seminars. 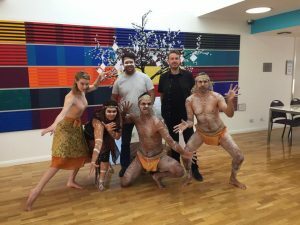 Centre staff work with you and your team to deliver successful functions; we are happy only when our clients achieve their event outcomes. 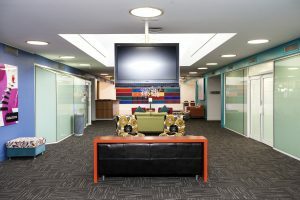 For more information about the Technology Park Function Centre, click here. Free parking with over 150 bays plus overflow. Quality audio visual (AV) equipment. Flexible floor plans including banquet, theatre and classroom styles. Large undercover terrace area for catering breaks and networking. Theming partners to provide all equipment and decorations. AV Partners for specialist AV requirements.